Clth, 6.5 x 8 in. / 64 pgs / 40 color. 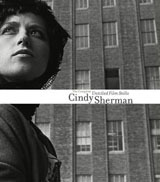 This sophisticated stocking stuffer presents Cindy Sherman's latest work in an adorable small format - just 6 1/2 x 8 inches and 64 pages. 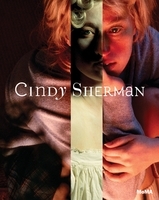 This small, gorgeously designed and carefully edited book—available in grey and beige cloth—presents all 20 photographs of a new body of work that Cindy Sherman completed in 2016. 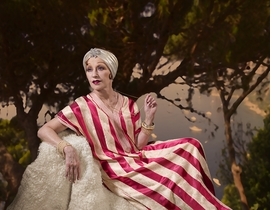 In these photographs, reminiscent (conceptually but not formally) of her earlier Film Stills, Sherman enacts variations on the theme of aging Hollywood actresses of the 1920s. 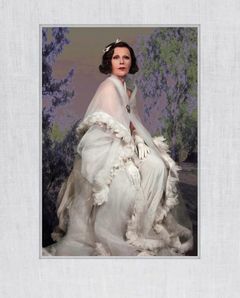 The series was inspired by her interest in early German Expressionist silent movies, which led her to further studies of the first wave of the Hollywood star system in the 1920s. Here, Sherman’s "actresses" are presented in the style of studio publicity shoots, against backgrounds that were carefully composed for each of the characters. 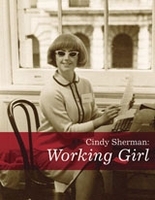 With heavy make-up, elaborate hairdos, precisely chosen and arranged wardrobe and dresses, Sherman creates female characters that provoke a rich array of cultural associations. 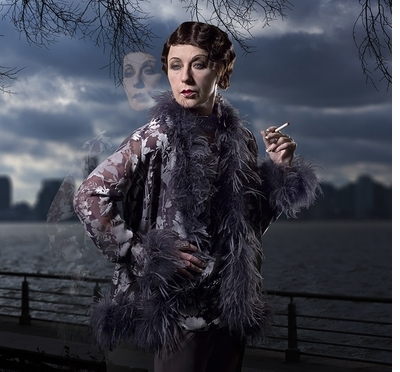 Cindy Sherman (born 1954) lives and works in New York City. She is represented by Metro Pictures. 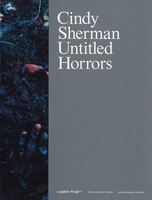 Works by Sherman are held in the Art Institute of Chicago; The Museum of Modern Art, Metropolitan Museum of Art and the Whitney Museum of American Art, New York; the Madison Museum of Contemporary Art; the Museum of Contemporary Art, Chicago; the Museum of Contemporary Art, Los Angeles; and the Albright-Knox Art Gallery, Buffalo, among others. Edited with interview and text by Karsten Löckemann. Text by Ingvild Goetz, Leo Lencsés, Gabriele Schor, Barbara Vinken. Edited by Kate Wagner. Essays by Paul Ha and Catherine Morris. FORMAT: Clth, 6.5 x 8 in. / 64 pgs / 40 color.